Somehow Amelia Earhart was a name that seemed to keep appearing with some significance in Arch’s life. Once back inside Cynthia’s home, he spread the file out to dry it completely, and also to give him time to lay out his rough plan of escape from the island. 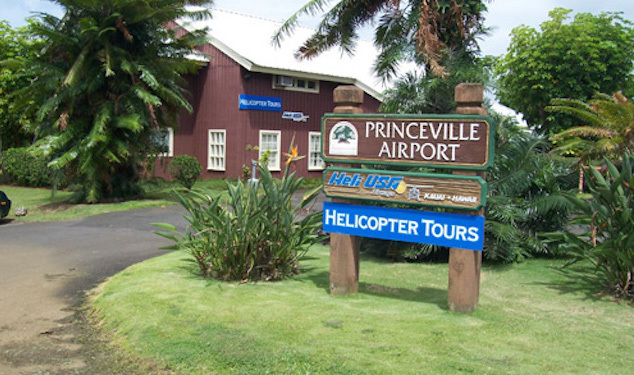 The mention of Princeville Airport, and the possible surveillance problems associated with it caught Cyn’s attention in an unexpected way. Arch had driven by Princeville Airport from time to time since it was right beside Kuhio, and no one going by on the highway could fail to see it if trying to reach the north shore. He’d never paid attention to what else might be in the terminal. That a restaurant called Amelia Earhart’s was located on site was news to him. “Fired?” Arch inquired, not surprised. Cyn’s enthusiasm could be dangerous, Arch knew, but his need of her willingness to help save his life suppressed normal caution. He hadn’t missed the fact, upon his return, that the candle for lighting drug packages was gone and the bedroom spotless, with no tin foil anywhere. He’d hoped to sell Cyn on the idea that helping him out would be helping herself out, as well. He didn’t want or need her to think that he was the second coming of the Messiah. Missions were messy. Each and every one of them. They always involved a whole lot more boredom, idiocy, drinking, drugging, and unintended consequences (including violent collateral damage) than any citizen was likely to believe. In spite of most missions being created and ordered by the Agency, there was little question that what they were involved with, although the goal other than staying alive wasn’t clear, was every bit a mission. When he’d become a field agent eight years earlier, Arch thought he had a good chance of endangering his own life. His thoughts had been accurate but now he was endangering the lives of everyone around him. He had a too willing, brilliant but damaged drug-taking woman as his only real ally against forces almost unimaginable in power and funding. Oh, and a dingo. “Why’d you come back for me at Lumahai?” Arch asked the woman, point blank, sitting on the floor next to the dingo and occasionally touching his head. Arch could tell Harpo didn’t like being petted, but he enjoyed the fact that Harpo let him anyway. “You’re it,” she replied, sitting down with her back to the same wall on the other side of the dog. Instead of heating more drugs she lit up a cigarette. Harpo sniffed, and then looked at Arch with a strange expression. He nodded at the dog. They understood one another. The woman was worth all the trouble because Harpo loved her, and Arch needed her. Those two things could not be carelessly interchanged. The woman attracted trouble in every way possible and Arch wanted her form of trouble to be focused on them, whoever ‘them’ really was, and not himself. “It what?” He asked, kind of dreading her answer. It was good that Cyn felt she needed him as much, in her way, as he needed her, Arch thought. His relationship with Harpo was significantly healthier than it was with the woman, but then he wasn’t in a position to be very critical. Cyn was tacitly admitting that her father, the old German, would help if pushed. And to get to Oahu Arch was going to have to push everyone at every point, possibly to the eventuality of their being hurt or even killed. In other words, he was in exactly the kind of situation he’d so hated, time after time, while working for the Agency. “You very well might get hurt or killed,” he blurted out, not to tell her the whole truth about his situation. “Really. Like I give a damn,” she quickly answered, spitting a small chunk of tobacco from her mouth and blowing a puff of smoke across the top of Harpo’s head. The dog grimaced and lay down. ”What’s the plan,” she followed up with when he had no brilliant come back. She asked the questions again. “So, what is the plan?” She lit a second cigarette from the embers of the first and then ground that one out on the hardwood floor. Arch frowned, not at her smoking which was bad enough, but at the damage to the beautiful flooring. “Don’t be such prig,” Cyn said, reading his expression, and then puffing away. Arch hadn’t heard the word prig in many years. There was nothing to be accomplished by acting like her father or some other authority figure. “Like I said my plan is to get to Princeville; get aboard one of those planes flying in and out of there; convince the pilot to fly me to Lihue because those planes don’t go into Honolulu International, and then get from Lihue to the port and aboard the Independence.” He said the words like he knew exactly what he was talking about. “So, you don’t have a plan,” Cyn observed dryly, with a disappointed shrug. Arch sat thinking. Nothing Cyn said was out of line with what he’d learned as an agent in the field. Women and money worked much quicker and more effectively than Navy Seals and bombs, almost every time. Except for one thing. “Dad’s got money salted away like slabs of fish in the bottom of his freezer,” Cyn said. Arch didn’t want the woman to accompany him past Princeville, but as usual of late, he had almost no choice at all in the matter. The woman went next door to get money from the old German, who’d turned out to be her father. Arch thought it unlikely the nasty old geezer would part with anything, but he’d been fooled by beautiful daughters successfully appealing to old grizzled fathers before. Arch kept down when moving about the house, wadding old newspapers into his New Balance 1300s to dry them out, paying attention to Harpo, who was quickly becoming the greatest dog in the world simply because it was obvious he liked Arch. Arch wasn’t used to being liked. Staying low to the hardwood floor, the one the woman had so abused with her stubbed out cigarettes, paid a huge dividend. He peeked up over the lower edge of the great room window to check out the beach. The rain had poured into the Lumahai river. The current carried the brown water north down the coast to become mixed into the normally clear water of the surf. It was ugly at the beach, but not as ugly as it was fearful. Standing on the sand with his back to the water stood Raul, with hands on hips, wearing his thin black wetsuit. He was staring intently at Cyn’s house. Arch used one of the plants near the corner of the window to look through without being detected. He was able to see the man’s facial features for the first time. Raul appeared to be in his thirties, and his facial features were as thin and hatchet-shaped as the rest of him. He looked like a spy or an assassin, or both. Arch’s own appearance earned him the nickname of “the Cherub,” personally assigned by none other than the Vice President of the United States. 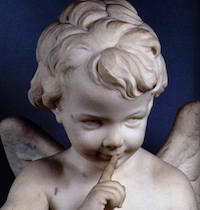 “Get me the Cherub,” had become a laughing under-the-table mantra among the White House administrative staff. His appearance reassured people who might suspect he was in the business to think ‘not him,’ and scan right on past. Not so Raul. The man’s appearance was downright scary, even to Arch. He heard the door behind him open and close. Cyn walked over to the window he was crouched down alongside, looked out at Raul, and then waved with a smile on her face. Raul nodded slowly back and then began walking in the direction of his own place. “Are you crazy?” Arch hissed at the woman. Arch watched Raul’s departing figure. The big man moved like a vertical panther, heading straight for the black Zodiac. Arch no longer had any doubt that the man didn’t need any team of minions to haul that heavy boat up onto the sand. Arch stayed low, moving slowly to reach out for the life saving cash Cyn had brought back. Arch sat on the floor of the house he’d broken into, counting four thousand dollars in cash that he hadn’t earned in any way, given to him by a woman he’d just met. Since running out of credit and money at the resort, nobody and nothing had been anything but surreal. The bills in front of him were all twenties and they looked like they’d been together for a long time. Arch thought about bribing a pilot to fly them out of north Kauai and the more he thought about it the more he was convinced that although it might work, the obstacles in surviving to the airport and then finding a plane that had two seats available were great. Really great. The night had to pass. Raul was a clever, intelligent and experienced opponent. He also no doubt worked with others who probably had more of all those qualities than he did. Arch didn’t think it was possible for the collected entity of what Raul was about or the mission he himself was on would have too much difficulty figuring out that Arch was very close by. No dogs had been brought in. There was no search of nearby woods going on. No helicopters, offshore patrols, or even full court press of local cops or unmarked cars. To Arch, fresh from the same line of work, that meant they were close. And they would come in the night. They wouldn’t come with one operative in night vision goggles and a single firearm again, either. To Arch’s knowledge, nobody had made anything more than a cursory visit to Cyn’s father’s place or even the house Arch was holed up in. There were no cruisers prowling the resort parking lot. The rental Lincoln, sitting there with four obviously flat tires, had generated no interest. That, in of itself, was a dangerous form of interest. Cyn and he could survive in the bracken near the Princeville Airport until morning, but they had to get there first. The old Mercedes could not work as a transport again. Raul had not been standing in front of Cyn’s house in order to re-establish his relationship with her. He’d been there to case the place for later entry. He’d come with a team and every house and resort residence, including Charo’s restaurant, and Cyn’s house would be gone into, inspected and even taken apart if necessary, to find Arch and the missing file. There was only one way to get out and it was nearby on the beach. Arch went to the bedroom to check on bedding. He opened the closet, which was stuffed full. “What are you looking for?” Cyn asked.”Infra-red protection,” Arch replied. “We need a heavy blanket to cover us on the sand, preferably something dark.” Cyn reached past him and pulled out a full-size Hudson Bay blanket. A blanket way too heavy for use in most Hawaiian weather conditions. It was green-colored, which would work even better for cover against intrusive night vision gear. The only way to get past the axis powers allied against them was to make themselves resemble large unobtrusive sand crabs. Arch knew he was as far from conducting an effective mission to escape from Kauai as a professional former field agent and team leader of the CIA could get. His plan to get to Princeville seemed sound, though. It was full night and they were ready. The woman had agreed to every part; from using the Hudson Bay blanket to cover them in the night while they crawled slowly and laboriously over the sand together, to how they would reach the Mercury outboard, and then overcome the fact that they lacked a key to it. They were both assuming that they would still have enough strength to drag the inflatable down to the water and launch it out into the surf line. Although those objectives were a bit of a stretch, especially when remaining undetected was vital to their very survival, Arch felt they were accomplishable. A diversion was vital, however. Attention at the critical time of their arrival at the boat had to be directed elsewhere, and it had to be of the ‘heat in the night’ variety. Hertz Rentals was going to be a bit upset because he’d chosen the Lincoln to offer up to the mission gods for their survival. Cyn waited back at the house with the blanket, a small plastic bag with their stuff in it (including the wad of cash) and patience, while Arch prepared the Lincoln for a timed immolation. The car sat alone in the lot, still down at all four corners, with four flat tires. That was good and bad news. Good because the fire he set in it would be isolated, but bad because he would be exposed while setting the fire. Burning the car with the necessary delay needed, and doing it so the tank would not explode and cause damage to the resort or Charo’s, wasn’t as easy as any moviegoer might believe. There could be no flaming wick placed in the gas filler tube. That only worked for Hollywood. The engine compartment, from below, was the most flammable and long-burning point for ignition. The delay element Arch decided to use was assembled from a piece of cloth, an empty green bean can, and some melted remains of Cyn’s drug candle. The can would sit high enough to be out of the wind. The flame would heat the gas line running along just above the car’s engine pan. The aluminum tube would burst from the pressure and the gasoline inside it would then ignite. Arch reached the Lincoln by winding through the bushes and then scurrying across the dark tarmac. Everything went as he planned. The cloth-wicked candle lit. He found he could reach and insert the can where it was needed. There was no wind under the cars low frame. He got the wick ignited with a minimum of flare, and got the hell back into the bushes and then on to the house without incident. Everything worked perfectly until it didn’t. Cyn was a citizen, not a player, and citizen’s do what citizen’s do. Arch had forgotten. He rushed to get the blanket right and their stuff out onto the sand when she let Harpo out the door. The dog stood next to Arch as if to gauge what his own role was to be. “What are you doing?” Arch forced out, in a desperate whisper. Arch stood in momentary shock, realizing he was now conducting a life or death mission to steal a Zodiac on an abandoned night beach from a professionally trained assassin, and he had a drug-addled woman as a partner, and her silent dog along rounding out the enthusiastic, but badly damaged team.